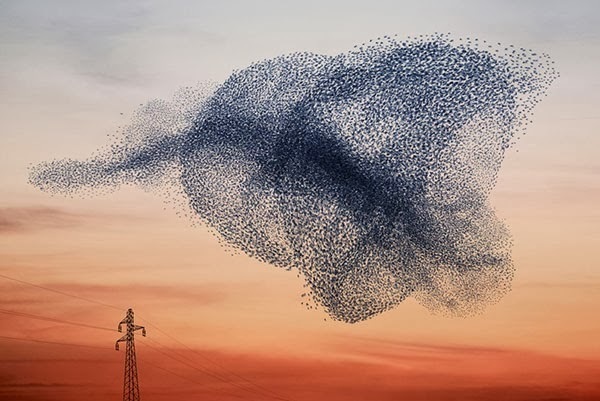 Bird flocking is an extremely interesting natural phenomenon that have been widely studied as witnessed by the number of papers in literature). I will present here a work on aggregate motion of large number of boids in a virtual environment with the presence of predators using CUDA as computational framework. 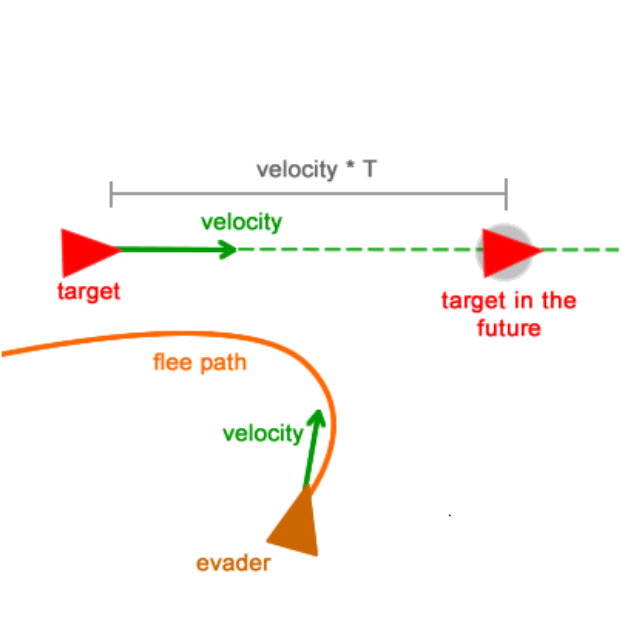 The environment is parameterized using the following a set of parameters that describe the size of the virtual environment and the duration of a timestep. 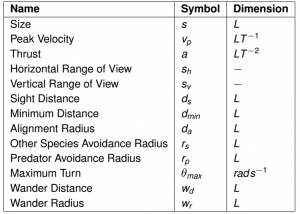 What is really interesting is the set of bird's parameter that describe how a bird behave and react to event in its surrounding. 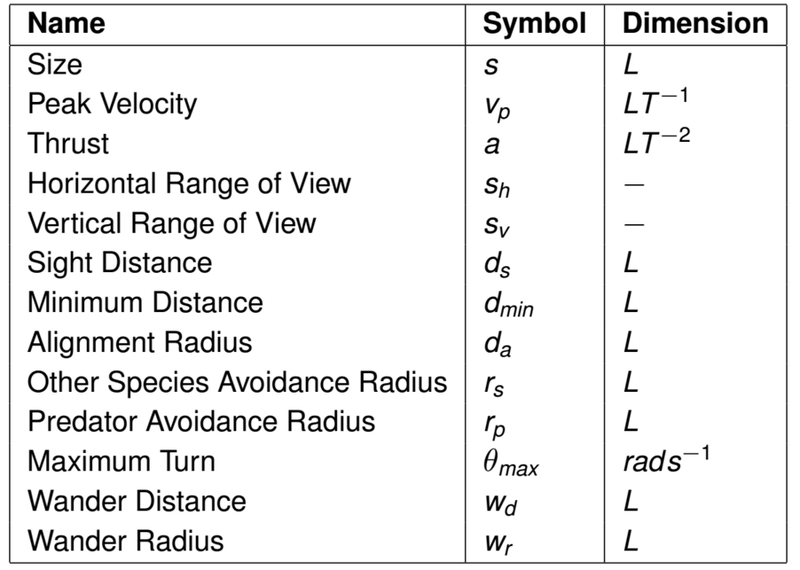 Some notable parameters include the Fyeld Of View (FOV), peak velocity , thrust and others (see figure). which is basically a weighted average of neighbors position. where determines how strong is the repulsion against to the neighbor . It is a weighted average of the neighbors's heading direction. 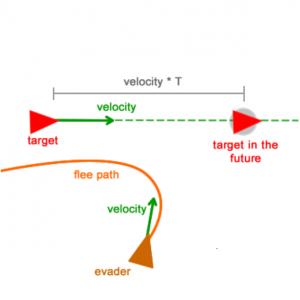 Other species avoidance is a behavior pretty much similar to the separation. The only difference is that only birds that belong to other species contribute to the result. 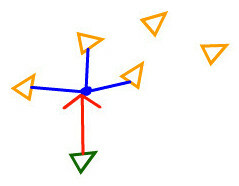 Predator avoidance is also a "flee or separation" behavior, but what happens here is that we do not take into account the current predator position, but instead, birds try to "separate" from predators's next position (the prediction is made from current position and velocity and acceleration of the predator). 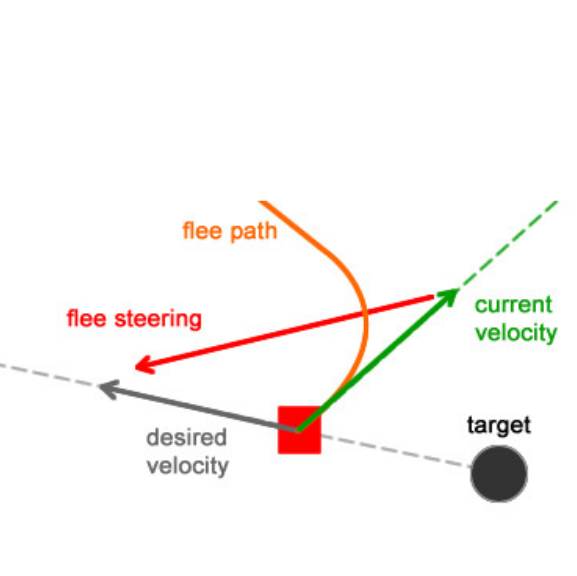 is the predator avoidance coefficient, where is the minimum distance bird avoid predator. The model has been implemented in CUDA to speedup the simulation. The following is a short video which I used during my presentation at PDP16 conference. The model and the implementation described in this article are much more greatly described in the following slides (download here).